With one in five Americans actively buying used clothes in 2017, online retailers who sell vintage apparel have a unique opportunity to turn a profit. 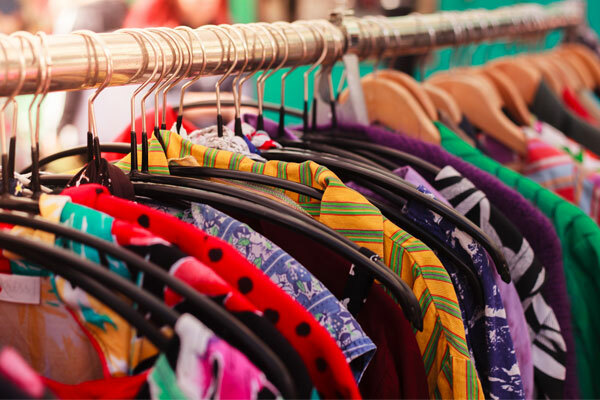 By marrying the marked-down resale value of vintage clothing with the sartorial nostalgia of today’s consumers, small business owners can meet this ecommerce-accustomed audience where their interests lie. However, bringing the thrift store online can be harder than it seems. On top of tailoring your sales strategy to digital platforms, you’ll need to be prepared to package and ship clothing so that it arrives on time, cost-effectively, and in the best possible condition. For clothing that’s already been around the block a few times and may be less durable than off-the-rack options, it’s especially important to package your garments with care. Curious how you can get started? With these tips and tricks, you’ll have your ecommerce fashion business running smoothly in no time. First, you’ll need to determine a strategy for moving your inventory online. Will you use eBay or Etsy (or both)? Each platform offers its own unique strengths and weaknesses, so you’ll have to determine which best fits your business model. For example, eBay offers substantial support for business owners, the ability to brand your online store, and valuable seller protection — but these benefits do come at a premium. As the retail ecommerce industry is projected to continue growing year-over-year, you’ll also need to figure out how to differentiate yourself from your competitors. Perhaps you should choose a style niche, whether that’s 50s sundresses or 70s counterculture couture. Once customers become familiar with your area of specialization, they’ll come to you when a specific fashion need arises. Additionally, you should invest in how you present your inventory online. Stage tasteful photoshoots of your pieces so that they look appealing to online customers. Take photos from multiple angles, use a high-quality camera, and experiment with lighting. These images will also serve as great material for your store’s social media presence. If a customer is shopping with you for the first time, it’s important that you make a positive first impression. Since they won’t have the chance to come into a brick-and-mortar store where you can broadcast your company’s ethos, you’ll have to communicate your brand’s personality through your packaging. After all, what better way to earn repeat sales than with a fun, satisfying unboxing experience? First, you’ll want to neatly fold the clothes rather than roll them, since the latter can cause wrinkling. Once you’ve folded your clothes, wrap them in tissue paper and secure them with twine to make the parcel visually appealing. Next, place clothing in an apparel box that will fit nicely within a larger, more durable box when it’s time to ship. Creative packaging presents an opportunity to boost brand recognition. With the right custom materials, you can deliver customers a personalized unboxing experience that will impress them and endear them to your business. Finally, you’ll need to decide how to ship your products. Your shipping options will depend on how heavy the items you’re shipping are, how frequently you ship, and where your shipments are headed. For example, if you’re only sending a small item that weighs less than one pound via USPS First-Class Mail, place it in a simple padded shipping envelope — and don’t forget to attach the shipping label before putting the clothes in. If you’re sending multiple objects that weigh over a pound, use appropriately sized corrugated boxes. With the Priority Mail Flat Rate and Regional Rate options, you’ll be able to reach your customers at a reasonable cost. Finally, so that both you and your customers have peace of mind, be sure to opt into delivery confirmation. This allows both parties to track packages while in transit, so you know exactly when your items are delivered. Representation is very important, As you said the first impression is the last impression.